Meet Okashi! Our first font that supports Japanese language! With over 680 glyphs in total you will get complete katakana and hiragana support plus 82 kanjis. It also features numbers, symbols and language support for many other countries. 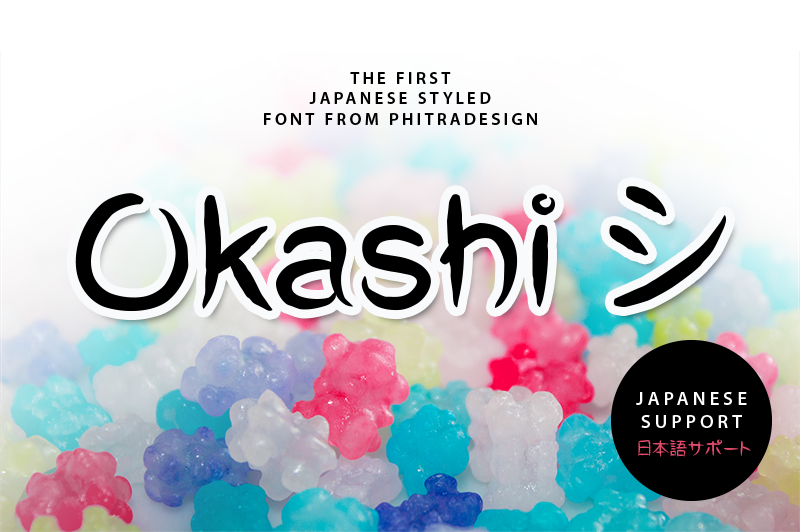 Okashi is handcrafted by our new team member, who has a great passion for the Japanese culture. It means "sweets", which represents another of her passions.